Cambridge is centrally-located, making it an ideal place to reach main centres and popular tourism spots in the North Island. See below for more information about getting around by bus, plane, car, rail, taxi and the town favourite, bike! National and public buses service Cambridge seven days a week, with frequent services north, east, south and west. Intercity and Naked Bus coaches pick up and depart from the Lake Street bus stop beside the Cambridge Town Hall. For bookings and timetables please visit the Cambridge i-SITE Information Centre on the corner of Queen and Victoria streets or phone 07 823-3456. Cambridge is on the North Island’s main State Highway 1 between Hamilton and Rotorua/Taupo. 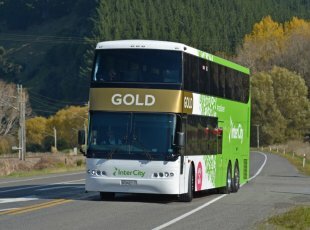 Residents and visitors have a choice when travelling between Auckland and Cambridge of either driving via Hamilton (SH1) or via Taupiri (SH1B). The latter route is about 15 minutes quicker and provides some classic rural scenery. In 2015, an extension to the Waikato Expressway has made it possible for motorists to either travel through the town or by-pass it. Car Hire: For prices and availability, phone 07 823 3456. Car rental operators (Thrifty, Hertz, Budget, Avis, europcar) are based at Hamilton Airport, 18km from Cambridge. An international-standard airport between Cambridge and Hamilton ensures we’re never far from the rest of the country – or the world. The airport (Hamilton Airport 18km, 18 mins from Cambridge) is the country’s fourth busiest and has regular flights to main centres. You can leave Cambridge and be enjoying a coffee in central Wellington in less than two hours! Flights also link with international services out of Auckland. The nearest railway station is at Hamilton (23kms, 25 minutes’ drive), providing access to the Northern Explorer rail service (three days a week). The service runs between Auckland-Hamilton-National Park-Ohakune-Palmerston North-Wellington.